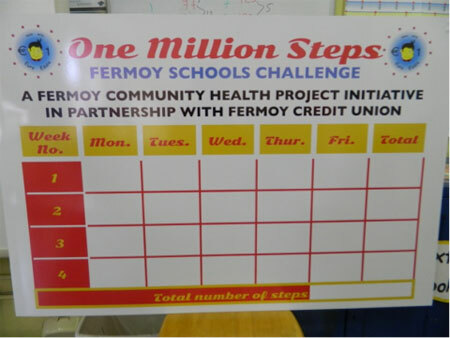 One Million Steps – Fermoy Schools Challenge – Fermoy Community Health Project in partnership with Fermoy Credit Union rolled out a new health initiative across the seven primary schools in the Fermoy in October 2014 called “One Million Steps” Fermoy Schools Challenge. The 6th class pupils of all seven primary schools were asked to collectively walk 500 miles during the month of October, up to mid-term break. 500 miles equates to approximately one million steps and the steps were measured using step counters. The steps were monitored and counted within each school day. 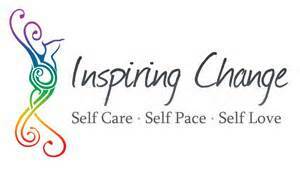 The children successfully completed the project and completely surpassed all expectations and collectively walked over 5000 miles during the 18 challenge which equated to over 10,000,000.
have learned a series of low-impact physical exercise and energising techniques. If you are interested in running the ‘NO LIMITS – Mastery for Students’ programmes in your school setting, please contact Jacinta McCormack, Community Health Worker 085 8742320.